Forget the iPad, and the other tablets that are being launched this year what you need is a replica of the original tablet that was used in Star Trek, the TNG DS9 PADD Replica. Although we suspect the TNG DS9 PADD Replica won’t give Apple much competition as it doesn’t actually work, so you wont be able to surf the web on it or send emails. 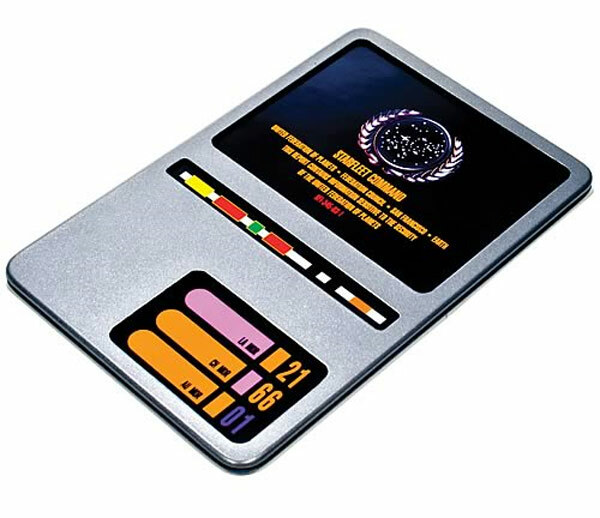 The TNG DS9 PADD Replica is a replica of the original PADD that appeared in the first series of Star TreK: The Next generation, and it is designed to look exactly like the original. If you want one, the Star Trek TNG DS9 PADD Replica is available ro pre-order for $119.99 from Entertainment Earth.